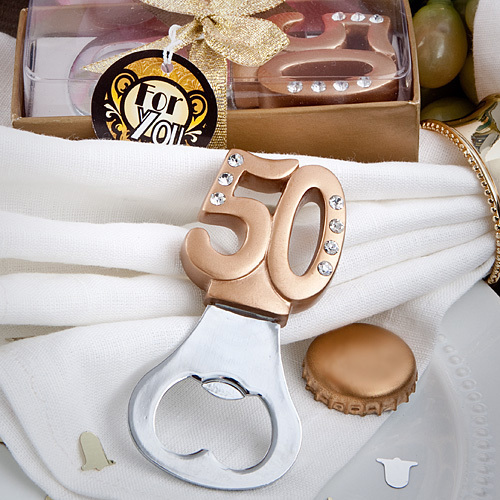 We’re sure that we could come up with even more than 50 reasons that this bottle opener would make a good-as-gold favor for 50th anniversary and 50th birthday celebrations. But, we think this pretty AND practical bottle opener speaks for itself! Don't you agree?